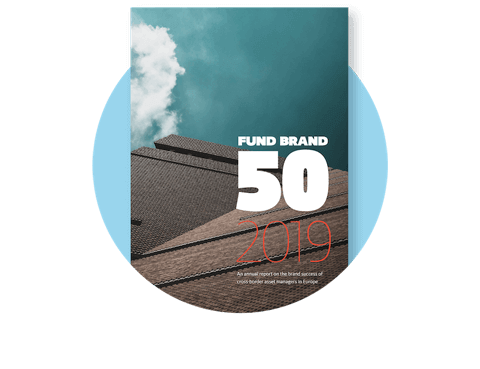 Fund Brand 50 is the most comprehensive annual study of Europe’s top 50 cross-border asset management brands. 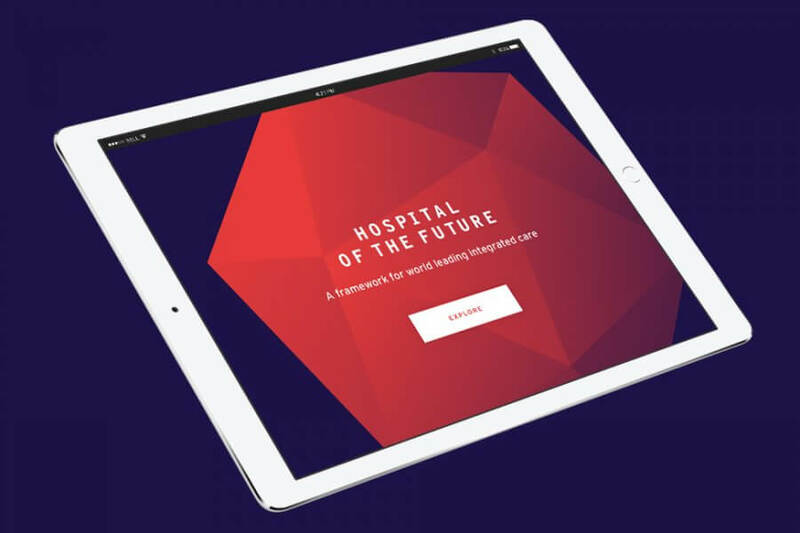 We have worked for the past seven years with the MackayWilliams team to produce a circa 80 page printed report and, beginning with last year’s, an online digital companion providing access to interrogate data and brand profile charts included in the printed report. This year marks the first year of the report under new ownership since MackayWilliams was purchased by global fintech company Broadridge in 2018. The FB50 report has achieved an ever-growing following over the past seven years and has built a reputation and equity in its brand that we didn’t want to dilute. At the same time, in transitioning to Broadridge’s ownership we wanted to reflect their new brand voice. Type, colour, and photography were all updated based on Broadridge’s brand guidelines in a manner that made sure to preserve the distinctive qualities of the FB50 brand. 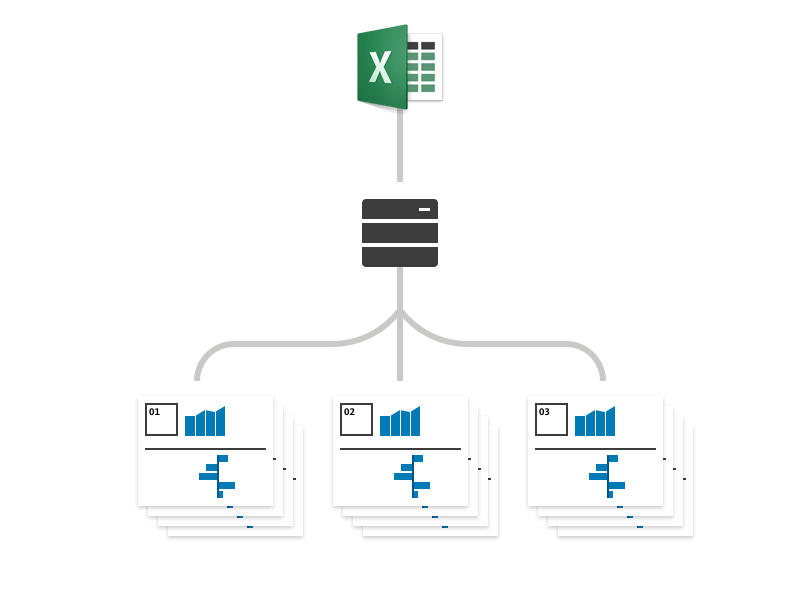 To assist with the production of the printed report (in addition to creating the InDesign templates and managing the print and delivery process) we created a digital tool to automatically output each of the 50 brand profiles from raw Excel data sheets to individual pdfs which could then be embedded in the report. This greatly reduced the amount of time needed to produce those pages in the report, and ensured consistency across all 150 charts and tables that were to be created in that section. To accompany the release of the printed report, we created an online digital tool that allows subscribers to interrogate the raw data and analyse the success factors behind the top 50 brands discussed in the report. 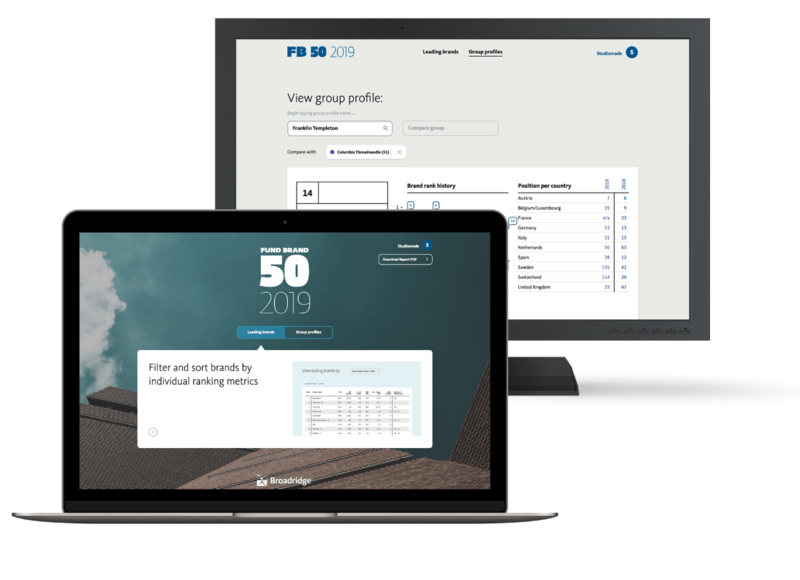 Each of the top 50 brand profiles can be viewed and compared against one another to see how other brands are measuring up in each of the key reporting areas. As part of creating this online portal, Broadridge needed a secure method of on-boarding new subscribers – giving individuals access to the digital report. 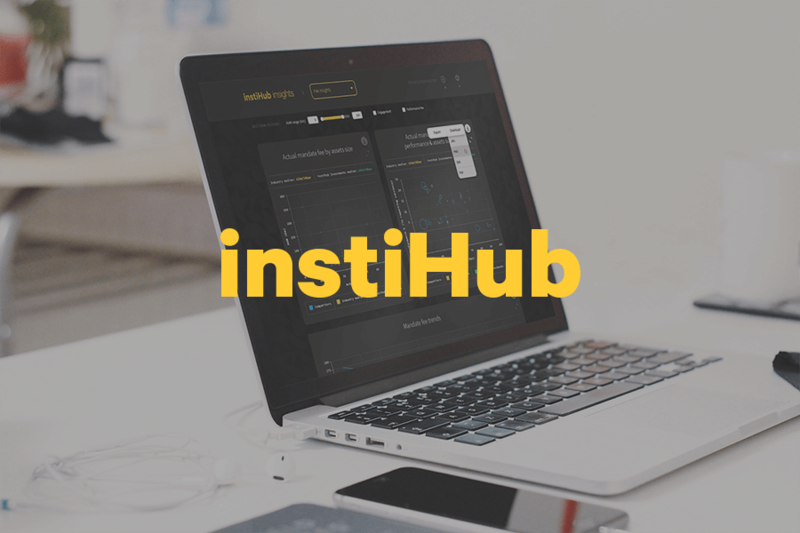 We created a custom user management system that empowered their admin team to grant access to new users and automatically trigger emails to be sent out notifying those users how they can register for access. FB50 continues to grow from strength to strength. Revered within the fund industry, the report provides a transparent look at fund brand performance. 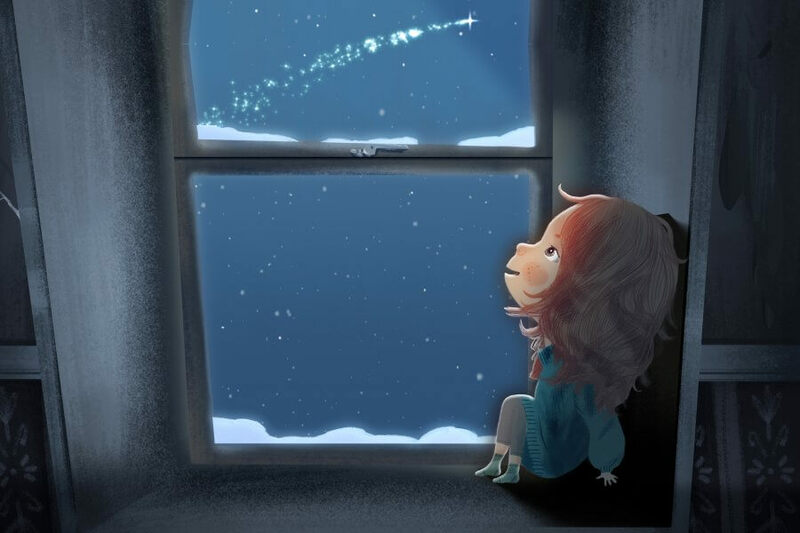 In a marketplace where brand purpose and clarity are of increasing importance, this insight is helping brands better understand the drivers to success in their markets.